Arrive at the 20-acre wooded estate overlooking Holmes Harbor where stress simply disappears as you walk past the beautiful vineyards and through the arched doorway. Greg and Theresa harvested their first vintage in 2006, opening the Holmes Harbor Cellars tasting room in 2008. 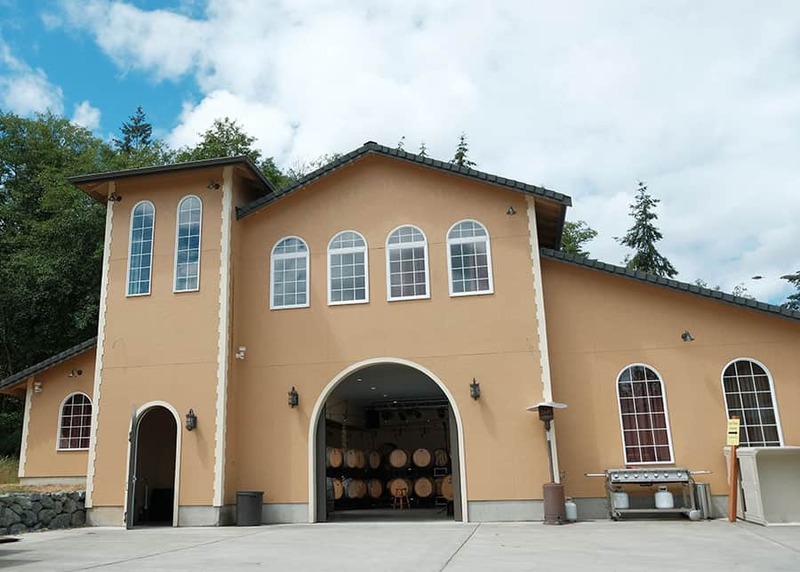 Holmes Harbor Cellars has gained a reputation for producing wines of outstanding quality balance and elegance. We seek to produce wines that complement food, provide great pleasure, and stand out as uniquely made in Washington. We invite you to come discover our award-winning wines, wander the winery grounds and taste through an impressive line up of well-crafted wines. 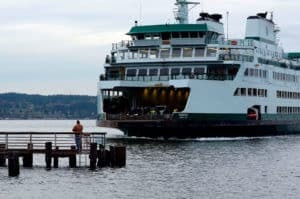 Once you’ve visited Holmes Harbor Cellars we think you’ll understand why we call our Pacific Northwest paradise… the Emerald Island. We source our grapes from only the finest vineyards in Washington state. Our current releases are made from grapes grown in the Yakima and Walla Walla Valleys. Les Collines (The Foothills) Vineyard is one of the highest in the Walla Walla Valley with an upper elevation of 1,500 feet. Soil moisture and weather data are recorded around the clock and current weather is always posted on the website. This 200 acre vineyard is one of the valley leaders in minimal input farming with its own composting operation and extensive use of compost tea. It is internationally certified for Sustainable Farming by the IOBC and is certified as a Salmon Safe Vineyard. It has its own state certified nursery for experiments with and propagation of clones. Greg and Thresa Martinez, owners of Holmes Harbor Cellars, are the best definition of a perfect pairing. 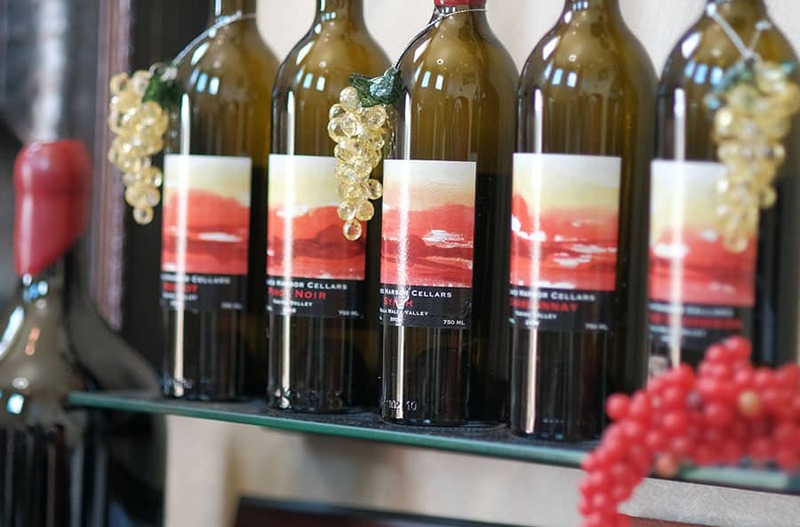 Blending art with science, together they create a distinctive wine experience for their guests. A musician, a pilot, and poet, Greg heads up the winemaking duo. Greg is a graduate of the University of Davis enology and viticulture program. Retired from the Navy, Greg flew jets from aircraft carriers all over the world. He is currently a commercial pilot, flying internationally. These global experiences exposed him to the great wine regions of Italy, France, Spain, and Australia. His appreciation and passion for wine continued to grow. Theresa is a professional chemist and the science accompanying Greg’s artistry! They both are graduates of Cal Poly San Luis Obispo. Surrounded by California’s most romantic wine region, it was during their college years that the couple met and fell in love. 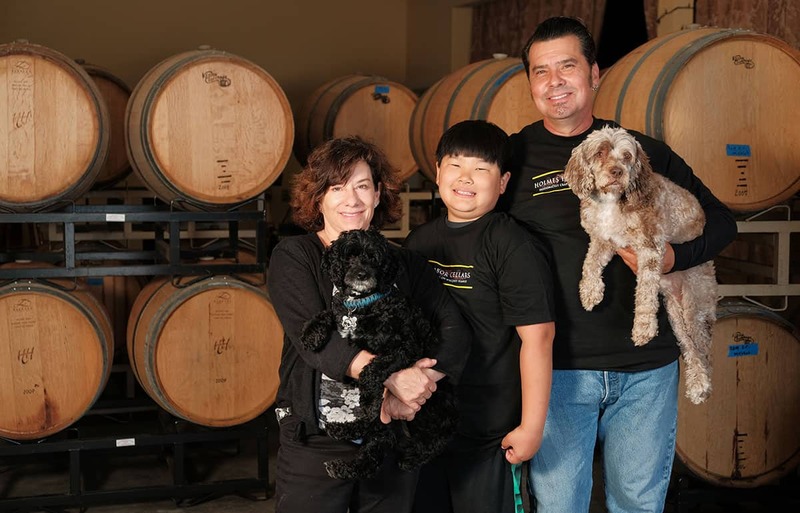 Truly a balanced partnership, the couple founded Holmes Harbor Cellars in 2005, and released their first wines in 2008. They live at the winery’s estate with their son Michael, and an assortment of pets.